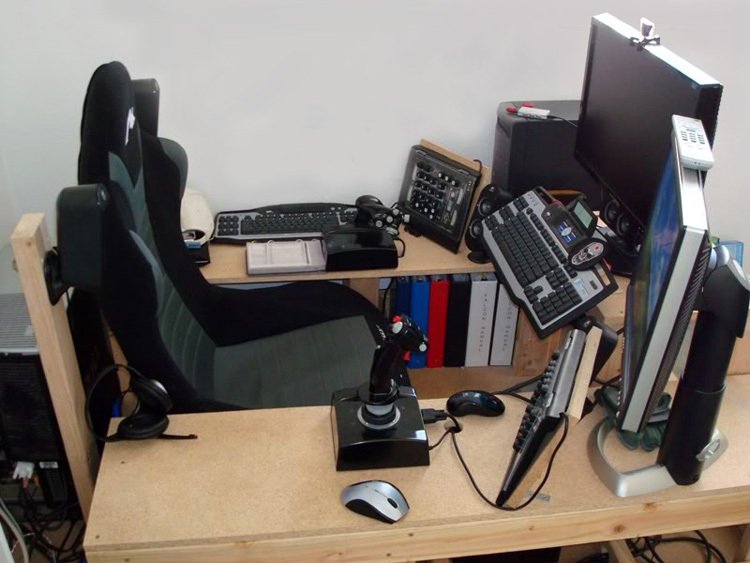 War Thunder Game Hub: Do you do your simming on a laptop? Do you do your simming on a laptop? If so, you are in a tiny minority! Although good, grunty gaming laptops are now affordable and hugely popular with players of FPS and racing titles, it seems they are very much out of favour with simmers. I am one of the few. I use an ASUS G750JW. 17.3" screen, i7-4700HQ CPU, 8GB RAM, 2GB NVIDIA GeForce GTX 765M, 750GB hybrid SSD/HD drive, it cost me around 1600 USD here in Denmark, EU. The same money, for a purpose built gaming rig from the same supplier would have got me no screen, an i5 4440 CPU, 8GB RAM, GTX 770 2GB, and a 120GB SSD. Pretty much a wash, assuming you already have a good screen. I go for a portable, because I travel a lot for work, sometimes for weeks at a time, and so I can throw my 4kg rig into my hand baggage (it doubles as my work PC), put the power brick and a joystick into my suitcase, and I am covered. With my Kindle or iPad mini, some papers, Bose headphones and a packet of mints, I get in just under the hand baggage allowance and don't have to watch hotel cable TV on those (few) nights I am not in a bar or steakhouse with colleagues. Good luck getting this in your hand luggage! But still, I don't get why people don't go for the best of both worlds. Plug the laptop into a dock in the picture above, and you can still take your hobby on the road when your wife insists you join for that 3 day visit to the in-laws. DCS World FW190D due this month?